Russia’s largest museum, the State Hermitage in St. Petersburg, plans to open another branch in Vladivostok, on Russia’s Pacific coast. The new affiliate is to be housed in a historic department store building and will feature pieces from the St. Petersburg museum alongside work by local artists. St. Petersburg’s State Hermitage Museum is planning to open a branch at the opposite end of the country, in the Pacific port of Vladivostok in Russia’s Far East. Architects promise to have a design ready by next summer to rebuild the former Kunst & Albers department store building in Vladivostok, which is to be turned into a branch of the illustrious museum, according to the Primorsky Territory administration press service. Governor of the Primorsky Territory Vladimir Miklushevsky secured the approval of Hermitage Director Mikhail Piotrovsky to open a branch in Vladivostok during a meeting in June 2013. “We are interested in opening a branch of the museum in Primorye. After all, it is the Russian gateway to Asia,” Piotrovsky said at the time. The new exhibition center will feature expositions both from Russia’s most famous museum and from local artists. A contract on the design estimates for reconstruction should be signed on Jan. 26. 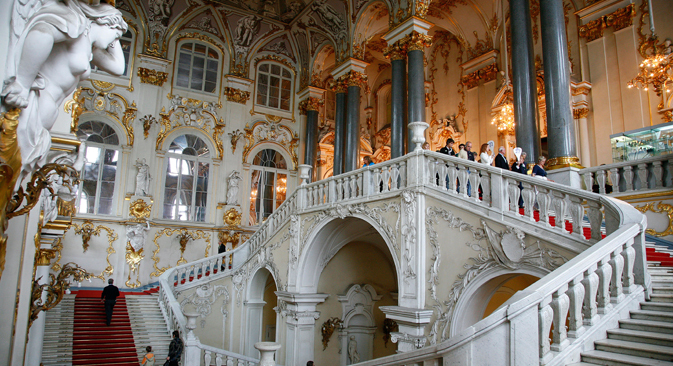 The Hermitage opened its first Russian branch in Kazan (600 miles east of Moscow) in 2005, and it opened another in Vyborg (on the Finnish border, west of St. Petersburg) in 2010. The museum also has foreign branches, with an exhibition center in Amsterdam and a new branch slated to open in Barcelona in 2015.